It is a versatile condiment pot other than the miso ramen and fried vegetables can be used. As Ishikawa Hokuriku Kanazawa cuisine is featured in numerous media. 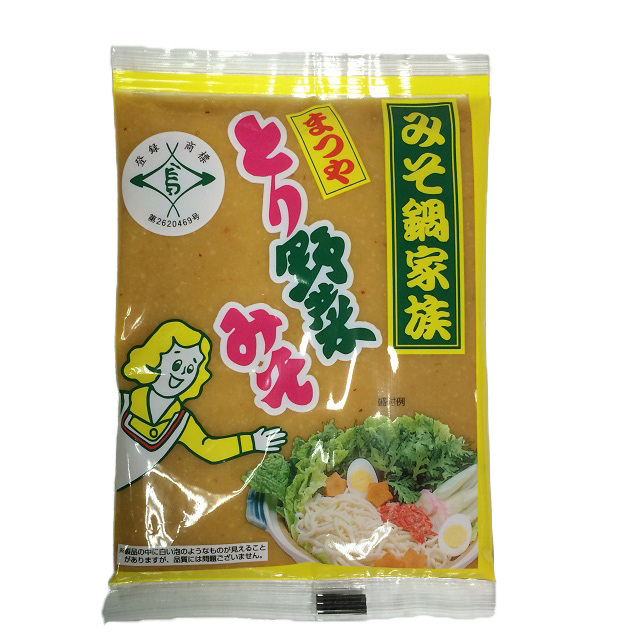 "Matsuya takes vegetable miso paste 200 g 12 bag case. "Takes vegetable miso", who was a ship of the kaisen-Donya devised original proprietor shipboard food "Matsuya"
Developed based on pot with miso is "Matsuya" original miso paste. Casserole dish is, of course, as a seasoning in a variety of dishes available please. How to make a In a pot put the melt water with this product. Then put your choice of meat, cabbage, carrots, into the fire. Take the boiled, cooked meat, a vegetable pot. * Drain cabbage well and turn off. 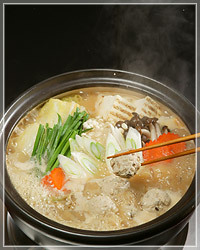 * Finish the stewing, Udon, Soba, and ramen noodles, rice or risotto rice and delicious also. * Instead of meat in the seafood delicious also. Depending on how many recipes you can make. 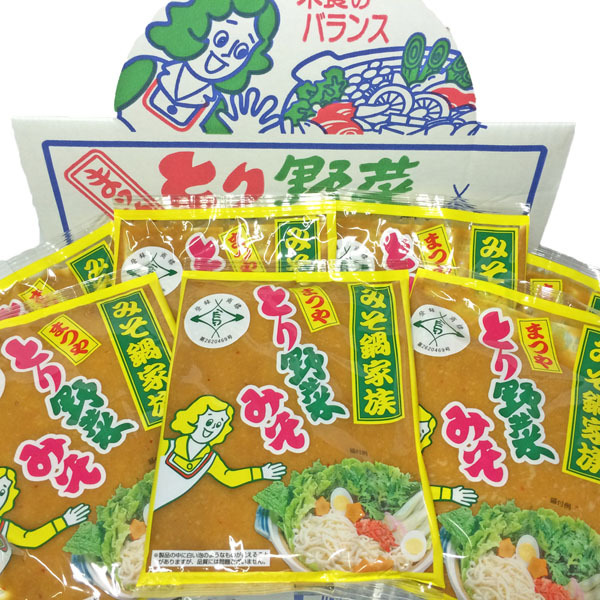 "Takes vegetable miso", developed based on who was a ship of the kaisen-Donya "and" first family conceived as on-board food pot miso is "Matsuya" original miso paste. We can not accept any return or refund caused by customers' preference.